Email remains the most powerful form of communication with customer, with the increase the Dotcom business Transactional Email plays a very important in send messages. 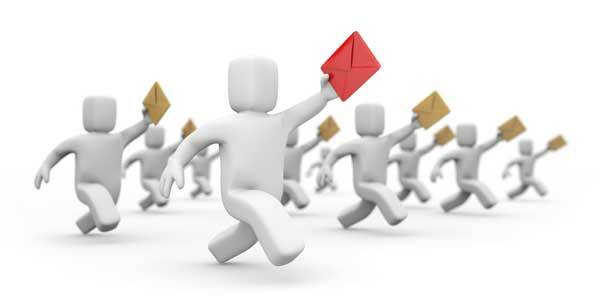 Transactional email delivery that is scalable, reliable and easy to implement. Building and maintaining your own SMTP which incurred a large infrastructure setup and acquiring these are a costly affair. We at BriteMoon help to eliminate the cost and take care of SMTP and other complexity tasks with no additional charges! Our team regularly maintains your own infrastructure so you can focus on your core marketing activities. Banking Transactional Mails: Credit Card Statement, Transactional Alerts, Monthly Bank account statements, Quick alerts such as generate password/code etc. Shopping Transactional Mails: Multiple users transactional alert after purchase of Goods/Service, Abandon user alert, Confirmation Alert. You can completely reliable and scalable with us on BriteMoon, all our systems are place well so that it will take care of all your needs. BriteMoon server infrastructure ensures timely message delivery regardless of volume or time of day. The BriteMoon platform includes all of the following and more to help ensure your email gets delivered. BriteMoon automation tools are designed to help you streamline your campaigns and save time with scheduled sends! With the customized integration and personalization you can create an entirely automatic sales force without losing that personal touch. Our automation allows you to focus on your core marketing rather than the process, which will drive the best return. BriteMoon brings you the powerful insight into the performance of your email, you can customize your dashboard according to your requirements and configure API to your sales and monitor the growth with single window. Email is the one of the best channel to communicate with the customer. We have built one of the best delivery of transactional, marketing, and mobile email from a single platform. Join us for all your email delivery to save money and eliminate the need to manage multiple vendors. We help you all around the clock; our customer support team will reach to you and your sales team whenever you have issues. BriteMoon email plans include access to the industry’s top customer support team. We are also available live to answer your calls and solve issues that may arise.